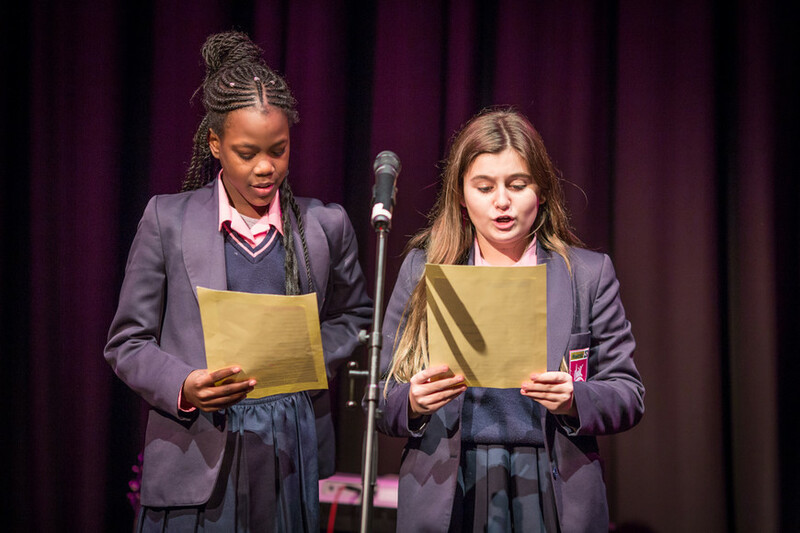 Dan from Year 10 reviews our latest spoken word event at Harris Academy Bermondsey which celebrated black history. 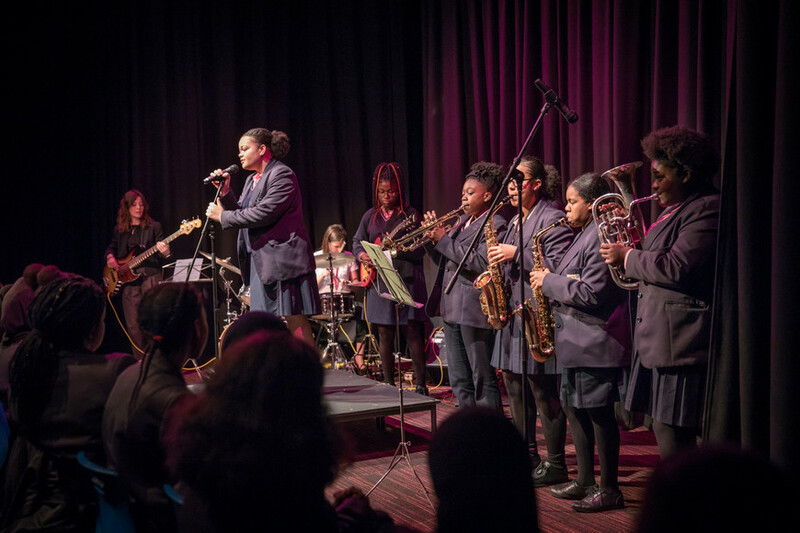 Twenty girls from across the academy performed their work in front of an audience of students, staff and parents. 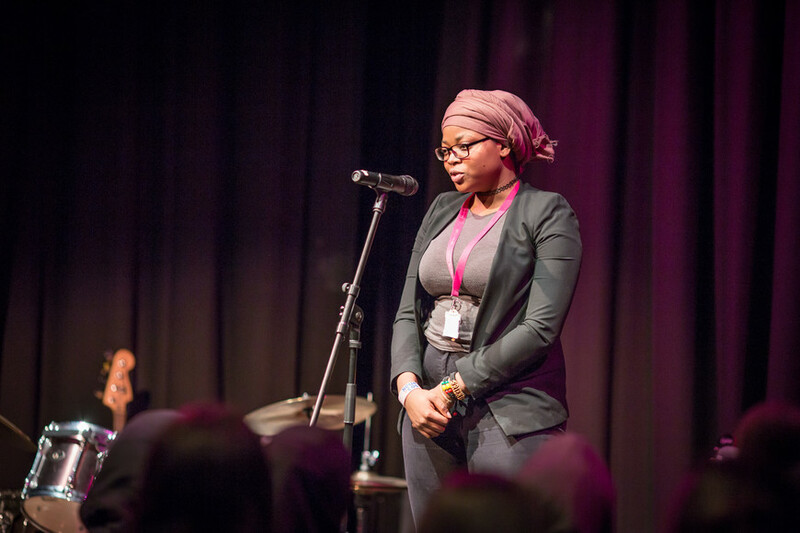 In December, our school celebrated black history through a spoken word event and it was amazing. 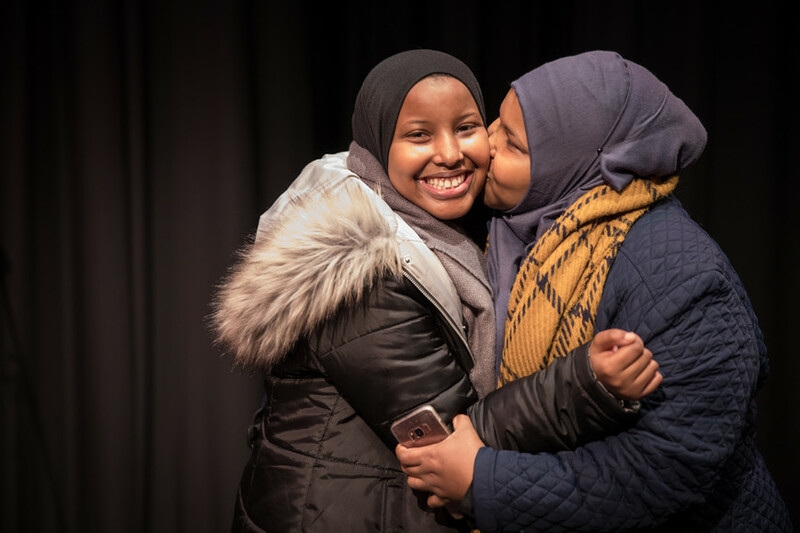 The show started with a Year 10 student performing her poem, Lower My Head and Divert My Eyes which is featured in the annual Harris Federation Poetry Anthology. It is about the attitude of society toward black people in the 1960s. In the poem, the author describes the life of a black woman who lost her job because she fought back against workplace discrimination. It spoke about the way white people looked at black people with “hateful eyes”. The poem highlights the fact that black people had to do their best to prove themselves but their attempts did little to change the mind of those who held racist views. 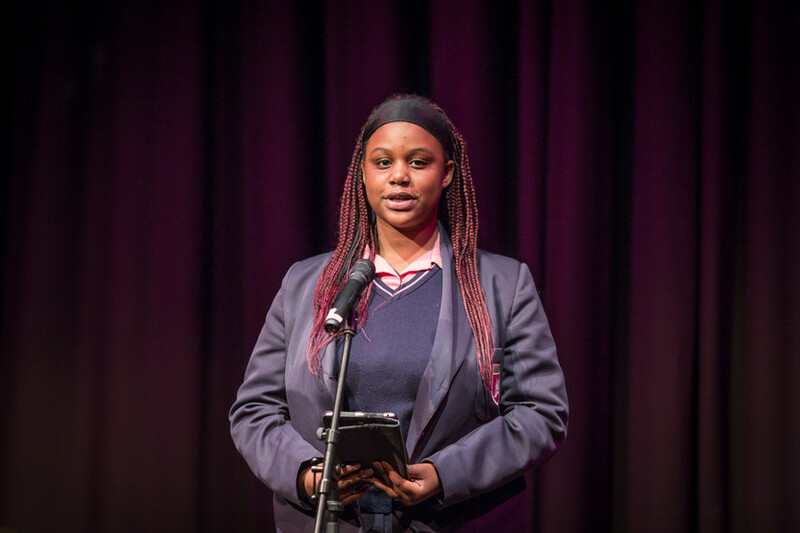 The second poem was by a Year 8 student and celebrated black women in our society. It shows that black women are equal to everyone else in the world. The speech told the audience that black women have their own beauty and intrinsic value. This poem demonstrates that although some people in society judge black women with an unequal eye, they still have confidence in themselves. 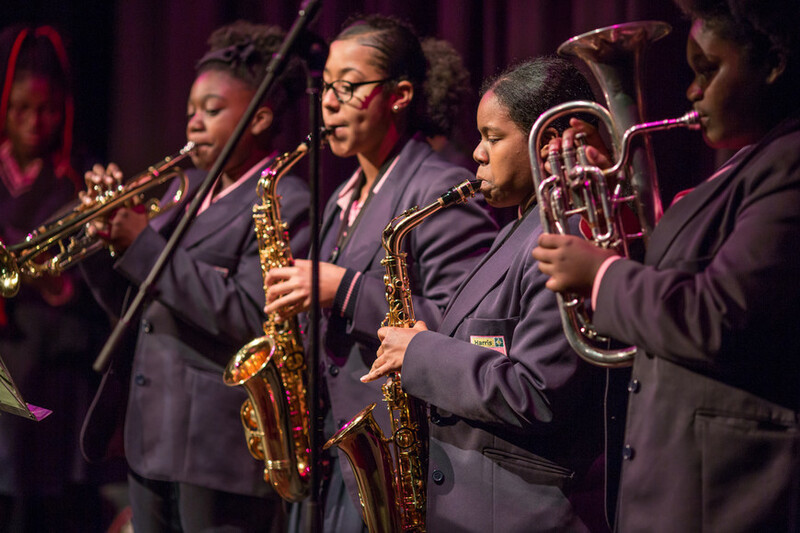 There was also a range of musical performances by students from across the year groups. Members of the HAB choir sang songs called Lean on Me and When you Believe which were uplifting for everyone to hear. A HAB6 student performed an acapella solo of a song called Oh Freedom which was written in the time of the American civil rights movement. The most exciting part of the show for me was the song I Feel Good which was performed by The HAB band. All of the members of the band are from Year 10 and they had some help from Ms Sillars on drums, and Ms Farina on bass. The song gave an excited atmosphere for the audience. The show took place in the Harris Academy Theatre which gave us a cosy atmosphere. The room was filled up with many students who performed and enjoyed the show. There were parents of the performers and also many teachers who came to celebrate Black History at the event. As an audience member, I recommend that all students join in with HAB shows like this one, either as a performer or an audience member. The show was an extremely good occasion and a great way to celebrate black history.